7th Aboriginal Math Symposium, First Nations Longhouse. 9:00 am – 3:00 pm, May 11, 2017. Registration open by mid March 2017. This entry was posted in Events and tagged Aboriginal and Indigenous, children, Curriculum, Education, K-12 teaching, math, Pedagogy. Orange Shirt Day is a legacy of the St. Joseph Mission (SJM) residential school commemoration event held in Williams Lake, BC, Canada, in the spring of 2013. It grew out of Phyllis’ story of having her shiny new orange shirt taken away on her first day of school at the Mission, and it has become an opportunity to keep the discussion on all aspects of residential schools happening annually. Orange Shirt Day is also an opportunity for First Nations, local governments, schools and communities to come together in the spirit of reconciliation and hope for generations of children to come. This entry was posted in Events and tagged children, Indigenous Awareness, residential schools, Secwepemc, Social Justice. Brock University’s Department of Child and Youth Studies announces “Conceptualizing Children and Youth” a multidisciplinary and transdisciplinary conference. All disciplines, multidisciplinary, and transdisciplinary approaches to research within Child and Youth Studies are welcome. The Conference will be held October 12-14, 2016 at Brock University in St. Catharines Ontario. The conference will include keynote speakers, special evening events, networking opportunities, and graduate student events. There will be highlighted sessions on child and youth engagement in sport/performance; child and youth health/mental health; diverse children and youth; education contexts; Indigenous children and youth research; social issues facing children and youth; transdisciplinary in child and youth research. There will also be additional dissemination opportunities. To submit please complete the attached abstract form to dzinga@brocku.ca by April 28, 2016. Submissions may take the form of posters, individual papers, symposiums, or workshops. Notification of results will be communicated by June 30, 2016. This entry was posted in Calls for Paper/Proposal, Events, Uncategorized and tagged children, conference, health, Indigenous Education, Mental health, Youth. Early childhood intervention (ECI) programs are increasingly recognized for their potential in promoting children’s health and well-being, and appear to be ideally positioned to play a vital role in fostering child health equity. Currently, there is a lack of research on ECI programs in the context of Indigenous families and children in Canada. This seminar will present the findings of a critical qualitative inquiry undertaken in partnership with the Aboriginal Infant Development Program (AIDP) of British Columbia. Dr. Alison Gerlach is an occupational therapy-researcher who has worked for many years in partnership with Indigenous communities, organizations and colleagues on a shared agenda of promoting children’s health and wellbeing. Alison’s doctoral research is one of the few studies internationally that draws on critical theoretical perspectives and an ‘ an equity lens’ to examine how ECI can contribute towards fostering health equity for Indigenous infants and young children. The findings of this study have implications for all healthcare professionals working with Indigenous and non-Indigenous families and children who experience social disadvantages as a result of structural inequities. 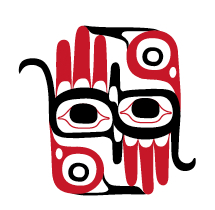 This entry was posted in Events, Research and tagged Aboriginal peoples, children, early childhood, Early Childhood Development, First Nations, Indigenous and First Nations, medicine. 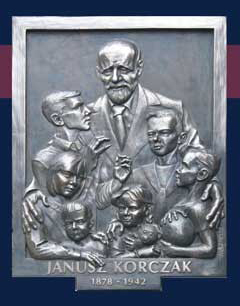 When: Thursday, January 21, 2016 | 7 p.m.
“How to Love a Child”, the Janusz Korczak Lecture Series, is devoted to key issues crucial to the well-being and rights of children and young people today. The goal of the lecture series is to foster conversations among academics, professionals and child advocates from diverse fields concerned with the welfare of the child. A range of disciplines and expertise including law, medicine, child welfare and education are represented in this series, and a variety of perspectives and issues will be addressed. This entry was posted in Events and tagged Aboriginal, child welfare, children, human rights, Indigenous and Native Education, law. The first sign that this government is taking a new approach to its relationship with indigenous people came when Theland Kicknosway, a 12-year-old Cree drummer, led the way into Rideau Hall today for the swearing-in of Justin Trudeau and his cabinet. 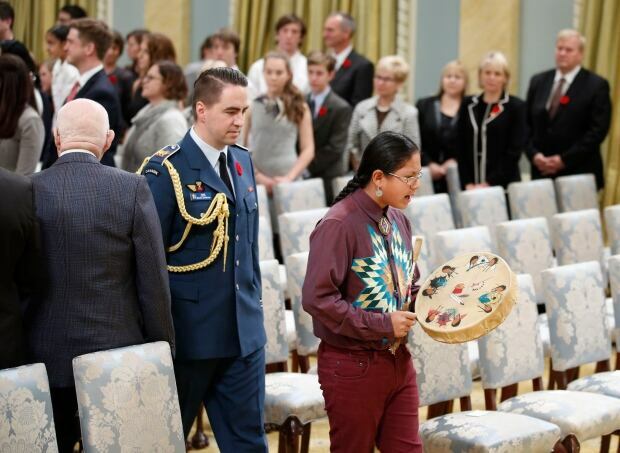 There has been indigenous participation in the past, but today’s ceremony was clearly meant to symbolize a new relationship with indigenous people and the government of Canada. The Cree boy’s song ended and was quickly followed with an acknowledgement the gathering was on traditional Algonquin territory. The ceremony also featured giggling Inuit throat singers who stole the show and wrapped up with three Métis jiggers. Two indigenous ministers were sworn into Trudeau’s cabinet: Jody Wilson-Raybould (Kwakwaka’wakw) was named minister of justice; and Hunter Tootoo (Inuit) is the new minister of fisheries and the Canadian Coast Guard. But perhaps the most symbolic change was the renaming of Aboriginal and Northern Affairs to Indigenous and Northern Affairs. 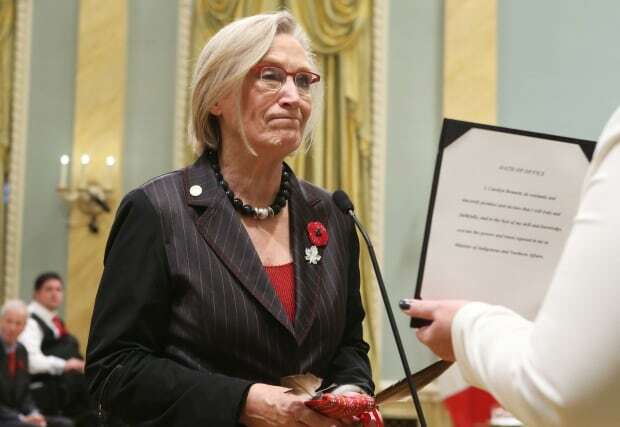 The new minister is longtime aboriginal affairs critic Carolyn Bennett, who held an eagle feather and a braid of sweetgrass as she was sworn in. Hayden King, professor of Indigenous governance at Ryerson University, says the name change will be welcome in the indigenous community. King said the term indigenous has become preferred over aboriginal. A video of Theland’s drumming posted on Facebook quickly gained thousands of views and shares. And many of the comments contain the word hope. But King is not convinced the symbolism will result in the “real change” that Trudeau has promised indigenous Canadians. This entry was posted in Great News, News and tagged Aboriginal, artists, children, First Nations, Indigenous People, Policy, politics. In 2014, the inaugural Indigenous Health Conference was a call to action for health equity for Indigenous peoples in Canada. The conference was the first of its kind in Canada and attracted enormous media attention including the Globe and Mail, CBC radio and Metro Morning. Building upon this success, the 2nd biennial Indigenous Health Conference will continue the dialogue and focus on the determinants of health and reconciliation. Sessions will discuss working towards reconciliation, major health issues for Indigenous peoples in Canada and also potential solutions to address them. The conference is led by Dr. Anna Banerji, a member of the Order of Ontario and an advocate for Indigenous women and children. Please join us again to continue on the path towards health and reconciliation. This entry was posted in Events and tagged children, health, Indigenous women, Reconciliation.